Budapest, Hungary - Visegrádi Utca 12., Press "5" To Ring At The Door! 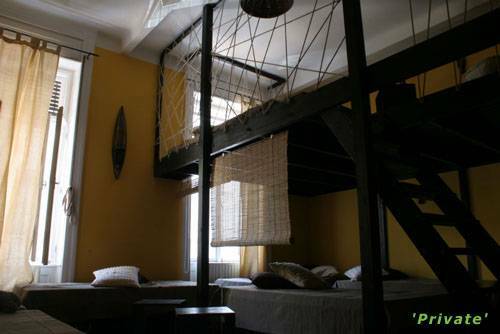 The best hostel I've stayed in: A great start to the new year! ... When we arrived in Budapest it was 8pm and very cold so it was great to be able to get a trian from the airport to the city (only 300 Huf) and to only have a five minute walk to the hostel. Two native girls from Budapest would like to show you why they love their city so much! 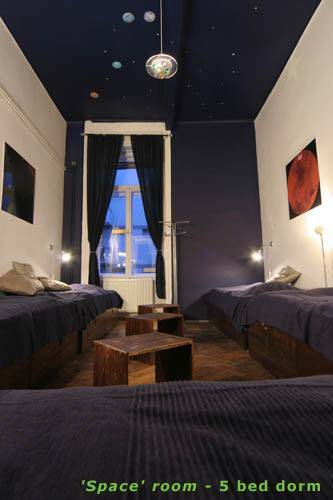 Having travelled to many different places and visiting lots of hostels along the way, we know exactly what you need after a long day or before heading out to discover a new city. We know the feeling of arriving in an unknown city at night, but also the feeling of waking up with great excitement the next day when you cannot wait to get out and see the streets, the people and the hidden secrets of the city. You will be amazed by all the treasures our city hides! We will be happy to give you clues to find them all and to listen to your story when you come home at the end of the day. 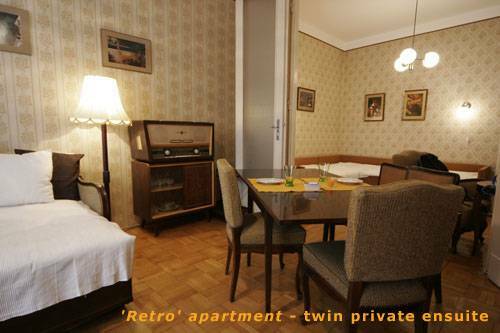 Space room (5 beds), Retro Apartement - THIS IS OUR TWIN PRIVATE ENSUITE. 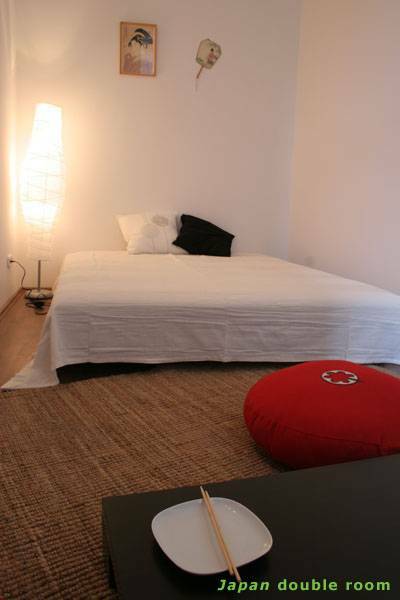 PLEASE NOTE THAT It is a fully equipped, separate flat LOCATED ONE METRO STOP FROM THE HOSTEL RIGHT IN THE DOWNTOWN AREA. 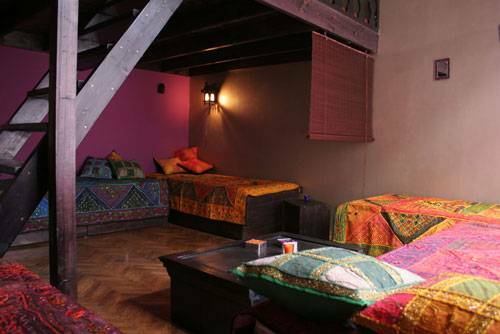 It is absolutely suitable for couples, looking for privacy and comfort. Check in at the hostel! Hungarian cuisine - all you can eat! You can check in, check out and cancel at anytime of the day. Visegrádi Utca 12., Press "5" To Ring At The Door! 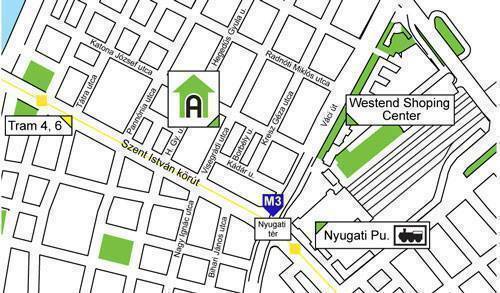 Take the blue metro line until Nyugati Pályaudvar (Nyugati Train Station) and come up at Szent István Körút. Visegrádi street is the first side street on the right when youre going towards the river (the train station is behind you). There is no big signpost. Our building is the big white on the first corner to the left. At the door press number 5 to buzz.